Ratu Jone Qomate will be traditionally installed today as the next Tui Labasa at Naseakula Village, Macuata. Tui Macuata Ratu Wiliame Katonivere and his people of Naduri will traditionally install the Tui Labasa. The 57-year-old assumes the role after the Marama Tui Labasa, Adi Salanieta Tuilomaloma Qomate Ritova, who died at the Labasa Hospital in November, 2016 after a short illness. He is the son of Ratu Joeli Qomate, who held the title from 1997 to 2004. Ratu Joeli in turn succeeded his older brother Senator Ratu Tevita Qomate, who died prematurely in July, 1997. Ratu Jone is a former employee of Electricity Fiji Limited (EFL), married to Elenoa Vakaloloma and has two children. A close family member who wishes to remain anonymous said Ratu Jone was a family and a supportive man. “He is a good man who always tried to do his best for the people. He is someone who is selfless and has always been there for everyone,” he said. “He has done a lot for the village and our family and we as his children, cousins, nephews and nieces will forever be grateful to him for showing us the way we should go. “Effective leadership can be thought of as a set of qualities and skills. “Different leaders may have different makeups, different strengths and challenges. “But there are certain traits that lie at the core of leadership–the qualities that all great leaders share. “Great leaders find the balance between business foresight, performance, and character. They have vision, courage, integrity, humility and focus along with the ability to plan strategically and catalyse co-operation amongst their team. Ratu Jone has these characteristics, he will lead the vanua with respect, love and dignity,” he said. Ratu Wiliame said he would lead the chiefly Caumatalevu clan from Naduri in performing the sacred duty of handing the chiefly cup to the new chief. Ratu Wiliame said the late Tui Macuata, Ratu Josua Raio Katonivere, had also installed the late Tui Labasa Ratu Tevita Qomate. “As is tradition we will prepare the yaqona which we will hand over during the installation to the new chief Ratu Jone Qomate to signify that he has acknowledged the chiefly title,” he said. “Other duties that are accorded to the new chief during the installation process will be carried out by the various clans as is tradition. Ratu Wiliame said the installation would also feature the blessing of the new chief by church pastors in Labasa, who would be selected to perform the task. “Preparations for the installation have already begun in Naseakula village,” he said. 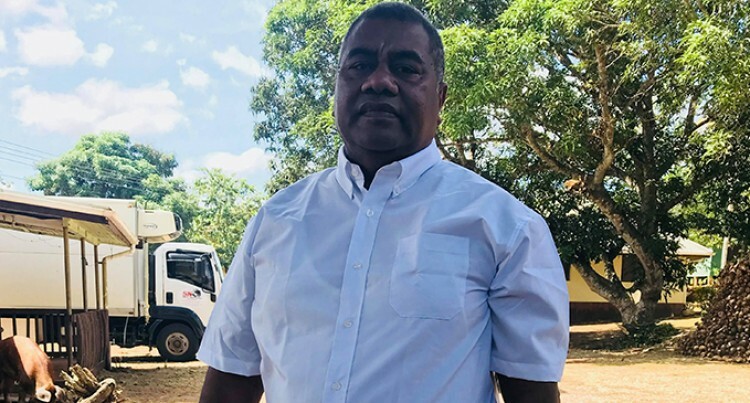 Commission chairman Ratu Vananalagi Vesikula said they would rely on their previous ruling in favour of the Qomate clan as rightful title holders. “There were two rulings by the NLC in previous years (2006 and 2008) where it ruled in favour of the Qomate family,” Ratu Vananalagi said. “Earlier, I had spoken to the vanua to try and resolve their differences because we do not want any more division long after this meeting has ended. “Adjudication by the Appeal Tribunal is always final and cannot be challenged in a court of law,” he said. Police spokesperson Ana Naisoro said Police officers would be present at Naseakula Village. “As of today we have not received any reports indicating there is tension at the village however we have officers who will be present as with all similar installations to ensure peace is maintained for the safety and security of all parties,” Ms Naisoro said.